Because they are not adapted to human occupation and are built to be partially or totally closed, confined spaces are often those where air circulation is the most difficult. Whether for tunnels, wells, manholes, ship holds, tanks, or agricultural silos, the consequences and dangers of accumulations of toxic vapor and combustible should not be underestimated in this kind of place. 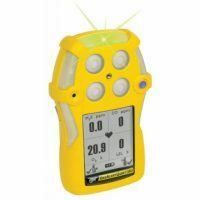 For both indoor and outdoor use, several gas detection devices are available to ensure the safety and health of all. A concentration of flammable or toxic gas can only irritate the eyes or the respiratory tract, but can also cause serious damage such as an explosion or even asphyxiation.